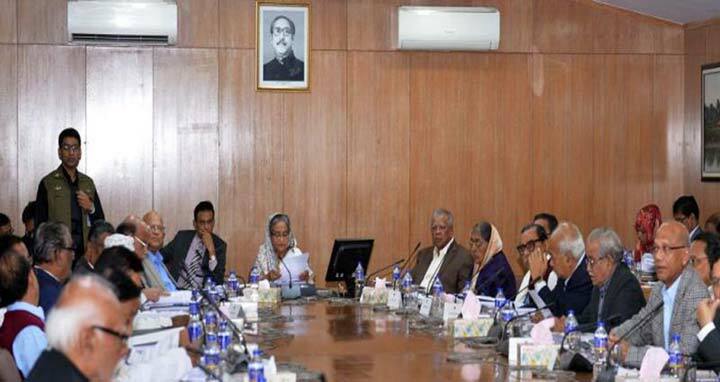 Dhaka, 2 July, Abnews: The Cabinet on Monday approved a recommendation making the wages of the workers of state-owned enterprises (SOEs) by almost double with retrospective effect from July 1, 2015. The approval was given at the regular weekly meeting of the Cabinet held at the Prime Minister's Office with Prime Minister Sheikh Hasina in the chair. "The Cabinet approved the Wage Scale and Allowances for Workers of the state-owned enterprises following the recommendation of the National Wage and Productivity Commission 2015," said Cabinet Secretary Mohammad Shafiul Alam while briefing reporters after the meeting at the Secretariat. "The wages for the workers who are working under 16 grades in the state-owned enterprises have been increased by almost double in line with the National Pay Scale 2015," he said. The new wages will come into effect from July 2015, while the allowances from July 2016, said the Cabinet Secretary.